Share your passion and designs with other crafters at this global celebration of making and meeting. 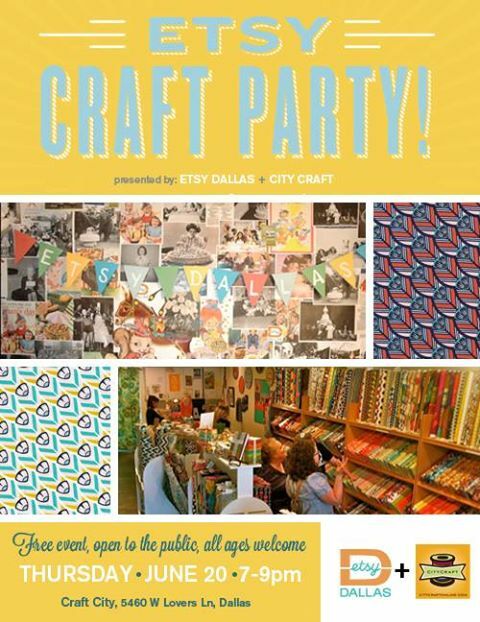 The Etsy Dallas Craft Party set for June 20th is a great way to initiate more crafty ideas for the 2013 Summer. The Cost to attend is FREE so find a post-it note, pin it, tweet it or simply make a mental reminder of this creative function coming to the Dallas area just for YOU!